In which month of 2012 the result of class 8th from HP Board is expected to come? What is the pattern of result this year, is it the marking system or grading system? HP Board stand for Himachal Pradesh Board of School Education set up in 1969 through an Act No.14 of 1968. HP Board had its main office at Shimla, which was afterward transferred to Dharamshala in Kangra District in 1983. HP Board main office in Dharamshala is located at the foothills of the Dhauladhar ranges of western Himalayas overlooking picturesque Kangra valley of Himachal Pradesh. HP Board Result Of 8 on its official website Home page by click on result option. 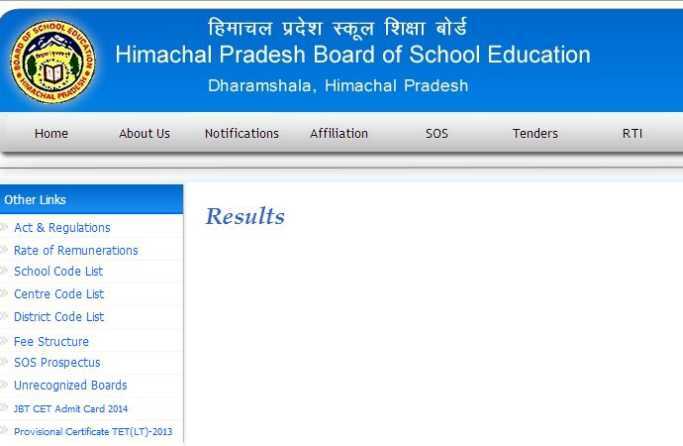 Himachal Pradesh Board will declare 8th class result in month of May. 8th result will declare in marks pattern but near future HP board will apply grade system in 8th result. hello, I am looking for HP Board of School Education result page as I want to check out 8th class result. Kindly provide me instructions to check its result page. Thanks. Here I want to inform you that the Himachal Pradesh Board of School Education, Dharamshala came into existence by year of 1969 as per Himachal Pradesh Act No. 14 of year 1968. Visit Himachal Pradesh Board of School Education, Dharamshala official web page. Click on tab named as â€œresultâ€� under student corner section. After clicking on it you will be landed on new page. as on 12/4/2014, there are no any result has been published. Last edited by Aakashd; August 2nd, 2018 at 05:54 PM.